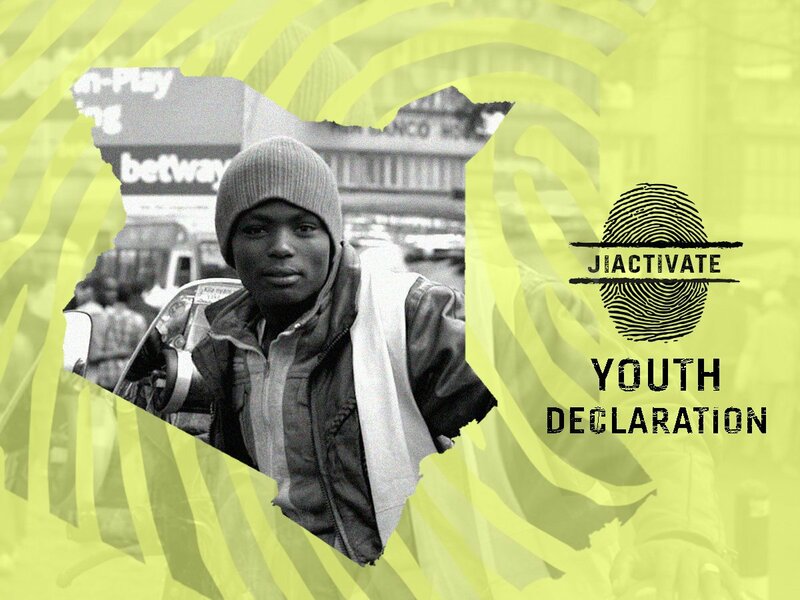 How JIACTIVATE is using SMS and culturally creative campaigning to bring Kenyan youth into politics and activism. 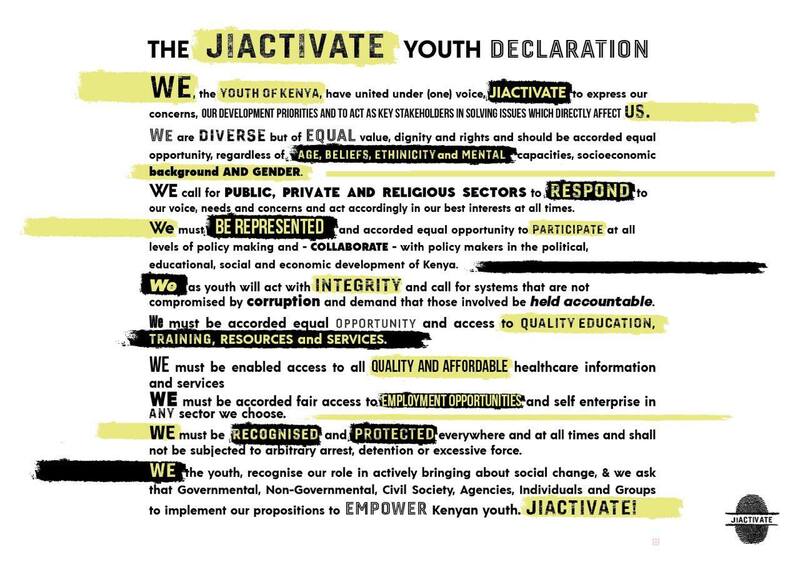 Youth will lead a movement if you let them is just one lesson learned during the first year of JIACTIVATE, a new coalition helping to bring Kenya’s nearly 10 million youth into politics and community activism with SMS-driven user research, culturally creative engagement and youth-led campaigning. Kenya’s youth live in a nation of juxtapositions. Kenyans live within East Africa’s largest economy but face Africa’s highest unemployment rate. Heading into the recent national elections, Kenyan youth found themselves unsure how to take part. Nerima Wako recently told Huffington Post that “young people in Kenya often don’t feel that they are a powerful voting block.” Wako is executive director of Siasa Place, a nonprofit engaging young Kenyans in politics. Research has shown that Kenyan youth abstain from politics in part because they don’t trust existing engagement platforms. Nearly one-fifth of Kenya’s population is between the ages of 15 and 24. But few of these nearly 10 million Kenyans believe that offline or online political systems – parties, community institutions or social networks – work in their interest. With these findings in mind, seven organisations formed a coalition early this year to engage youth in the August, 2017 elections. 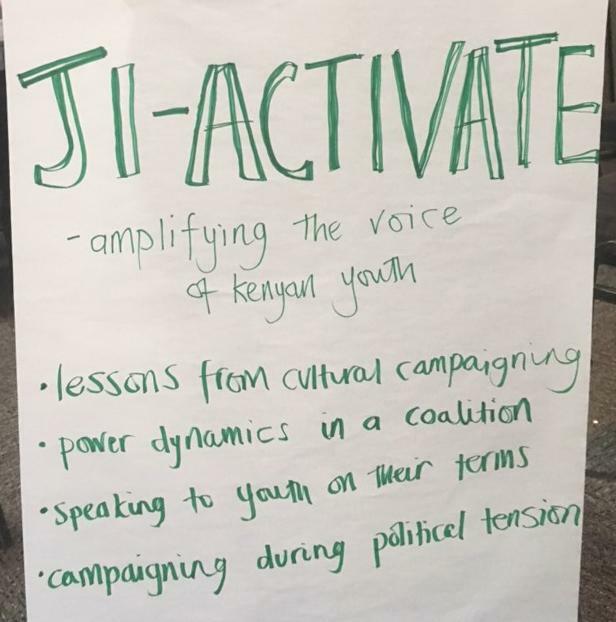 The groups created the JIACTIVATE (activate yourself in Swahili) to provide young people with a way of sharing hopes and plans for their country. Bantleman shared the JIACTIVATE story in the Campaign Bazaar at CampaignCon 2017. JIACTIVATE informed its communications and goal-setting with user research. Organisers also wanted to engage and build relationships with their target audience. Purpose worked with GeoPoll to create SMS-based polling and survey campaigns. “Using SMS, we were able to reach the broadest cross section of young people in Kenya, including those in remote or impoverished areas with limited web access,” says Bantleman. In March, 2,000 Kenyans between the ages of 15 and 35 were polled. Results showed that they were most worried about four things: corruption, unemployment, food security, and healthcare. Next, from April to June, the campaign partners in Kenya hosted 56 events in 33 counties, held 4 online forums, engaged 70 youth groups through dialogues and creative media activations. In the end, the campaign collected over 130,000 statements, with ideas on how to solve these problems. “This declaration will be handed over to every political leader for them to implement and be accountable for. No matter who you are or where you’re from, JIACTIVATE is your movement. Join and help to change Kenya,” said Organization of African Youth, one of the coalition partners, after its launch. This campaign goal exemplifies a trend seen in stories by other CampaignCon participants: many campaigns (particularly in the Global South) are aiming to change entrenched norms instead of lobbying a specific target for a cause. The coalition worked with local influencers to build hype for the events, a tactic which garnered coverage in The Daily Nation, Kenya’s highest circulating independent paper. The campaign launch video was viewed over 176,000 times and a Facebook page launched in April this year has over 58,00 fans. There is a JIACTIVATE song, and a documentary about the campaign will also be released. 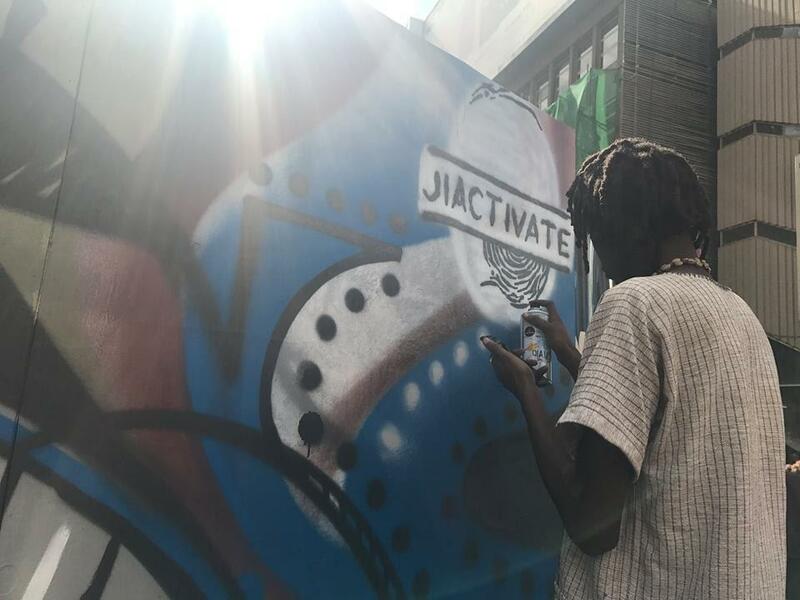 JIACTIVATE is a good example of a campaign effectively using culturally creative tactics like song, dance, and arts to engage young people on their terms. Many Africa-based CampaignCon participants we spoke to about the state of global campaigning agreed that similar creative tactics can engage people that have felt distanced by traditional, often Western engagement strategies. Working in a coalition. No single organization had all the skills needed by the campaign. Bringing together different knowledge and experience created a strong organising team. Being led by the youth. Using new research about youth needs, and focusing on solutions that they devised, fostered a more authentic campaign able to speak with youth instead of at them. Using creative content. Art and well-known artists helped tap into the experiences of young people in Kenya made it a wide-ranging cultural campaign instead of an exclusively political one. Creating online and offline campaign entry points. 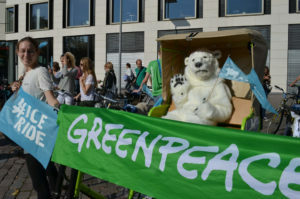 The campaign used a combination of online channels for urban, connected youth, and offline events for young people in more rural areas where digital penetration was limited. With a frequently changing political climate and the goal to be a non-partisan social movement, JIACITIVATE also learned that rapid response was integral. They could pivot messaging throughout the country when needed and make sure they were still calling for action and engagement while not endorsing a specific political candidate. 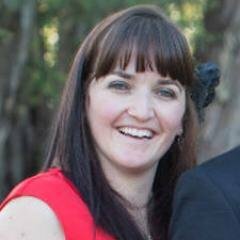 Thanks to Holly Bantleman and Purpose for sharing information for this case study.